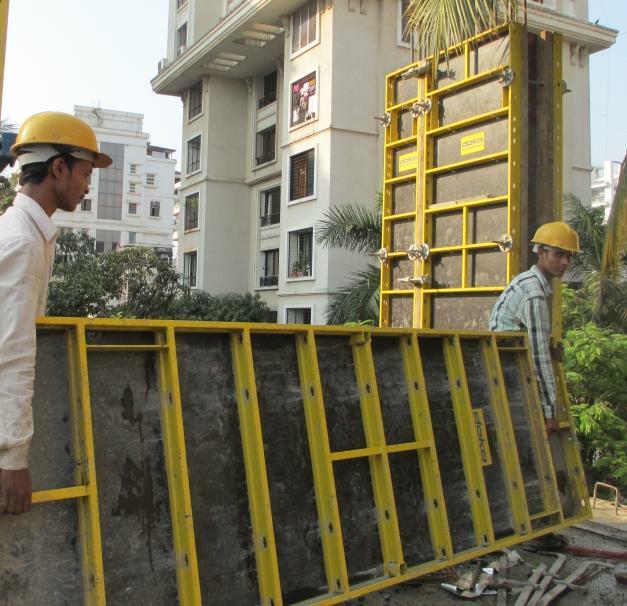 The project is a rehabilitation building, coming up in the densely populated area of Central Mumbai. As the area for construction is quite small, so crane is not available at site and moreover, due to changes in the floor plan of the building with height, flexibility in the formwork system is must. 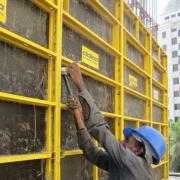 So, Doka provided flexible as well as manually handled Framed formwork Frami Eco and Slab formwork Dokaflex-15. Frami eco is ideal for fast, cost-saving forming – with or without crane assistance.It scores for its simple system-grid and low form-tie ratio. This provides flexibility on the site, reduces the commissioning quantities and minimises infill zones. Above all, though, the system shortens the forming-times, ensuring fast workflows: a hammer is the only tool needed. 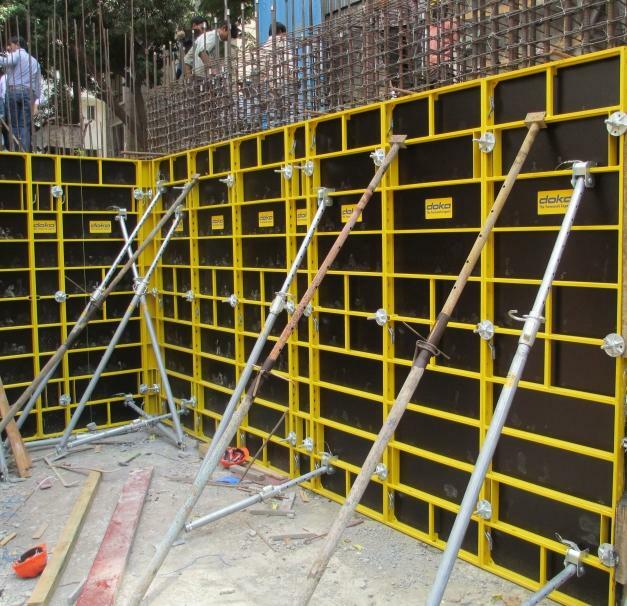 The range of possible uses is very wide: with widths of 0.30 m to 0.90 m – in a 15 cm grid – and heights of 1.20 m and 3.00 m, it is a complete system for forming walls, columns and foundations. Dokaflex 15 is a lightweight hand-set system for floor-slabs which wins out over traditional forming methods for its attractive price level. This versatile system also stands out for benefits like short forming-times and easy handling on the site. 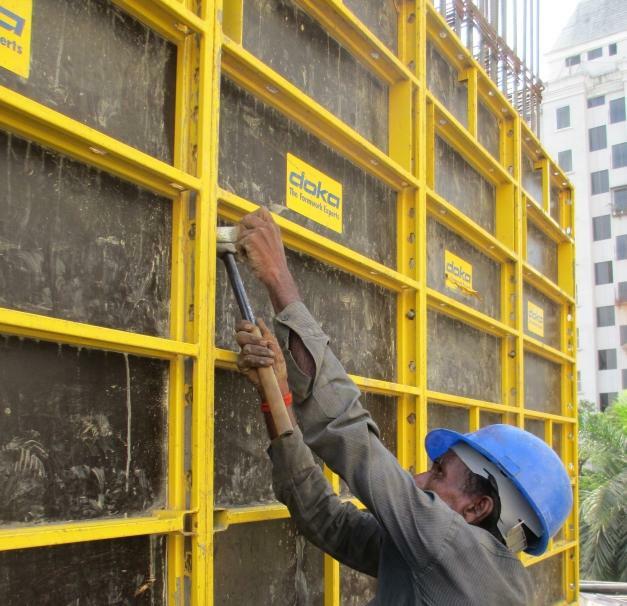 Thanks to the optimised weight and load capacity of its system components, which makes it lighter than conventional formwork systems. In this project, Considering the small room sizes and changing floor plan, this system proved to be the best in terms of flexibility, where same set of components can be used for different layouts and moreover the ability to erect the system from ground has increased labor productivity. 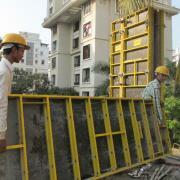 Thank you for your interest - Formwork Solution for a residential building. 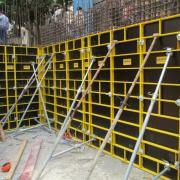 Thank you very much for your interest - Formwork Solution for a residential building.